In our last blog post "When To Change Your Bass Strings", we talked about when it's time to change your bass strings. Some players hardly ever change their strings because they like the sound that their worn-in strings produce. James Jamerson, one of the great Motown legends, rarely changed his strings. However, there are some clear indications to look out for when your strings are worn out, when they're affecting the quality of your sound, and when they need to be replaced. If your bass won’t stay in tune, the reason could be that it’s time to say goodbye to your old strings. Basses that have old strings will constantly go out of tune or will be difficult to intonate correctly. Over time, strings will stretch out and lose the integrity of the tension they hold. Obviously, staying in tune is an absolute must especially when recording. Even if you are in love with the sound of your strings, it's best to say goodbye to your current set of strings. If you’re a newer player, you may not have gained the ear that can hear the nuances of the sound that your bass produces. Or, maybe you can hear these sounds, but don’t know what they mean yet. 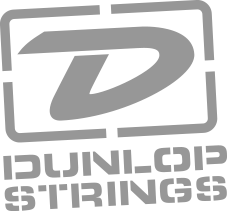 When your strings sound dead or muffled, that generally means your bass strings have lost their brillance and high-end characteristics. This is one of the first tell-tale signs of string aging. If your bass sounds "lifeless" or has a dull-sounding tone when you play it, it might be time to call it quits with your current strings. For most string sets, this happens around 4 to 6 weeks if you're an active player, and longer if you don't play as much. Another way to determine the age of your bass strings is to simply look for visible changes in appearance. After use and, in some cases, being exposed to certain elements, your strings may start to look gunky between the individual coils with oxidation and rust, discoloration, or dark spots. These are all signs of old strings that are done serving their time. Do note that even if you never play your bass, your strings will naturally lose their life over time due to moisture, humidity, and other environmental factors (even fluctuations in temperature). No matter if you are playing roundwound or flatwound, if your strings are unwinding near the tuning pegs, it’s time to invest in some new strings. Often, strings that have been used will begin to also unravel at the bridge due to friction. If your strings are unraveling, there is a good chance that they could break at any moment and especially while you're playing. It's rare that bass strings break...so don't let this happen to you! Ready to Rock a Bass? Are you ready to rock your favorite riffs on a bass guitar, but don’t know how to play? Low End University offers online bass lessons that are not only affordable, but are also just as effective as those that you can take from a local instructor. You get unlimited access to hundreds of high-definition, multi-angle videos taught by Mark Michell and other pros, as well as other information that can help you learn the important essentials to be working bass guitarist. Learn more about our subscription plans HERE and start learning how to play your bass with Low End University's online bass guitar lessons. Don't forget to check out our YouTube Channel as well!